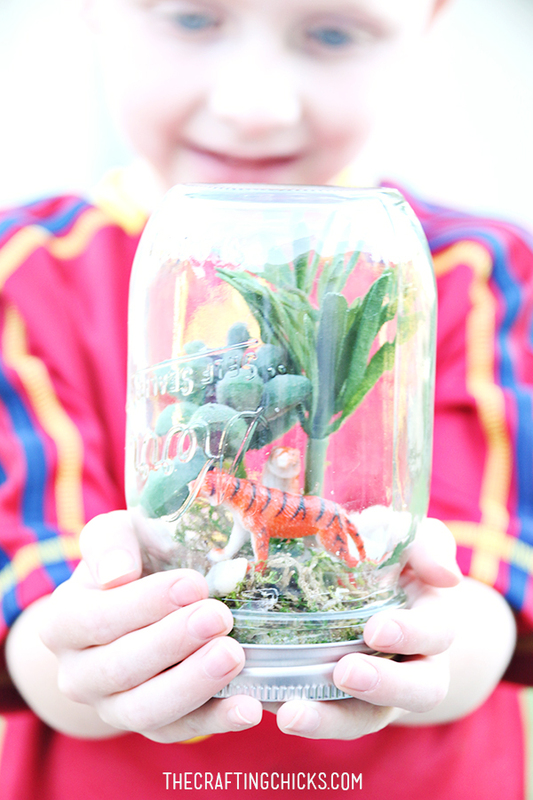 So excited to be sharing a Rainforest Themed kid craft today with you! This is a fun week! My kids have loved reading about the rainforest. 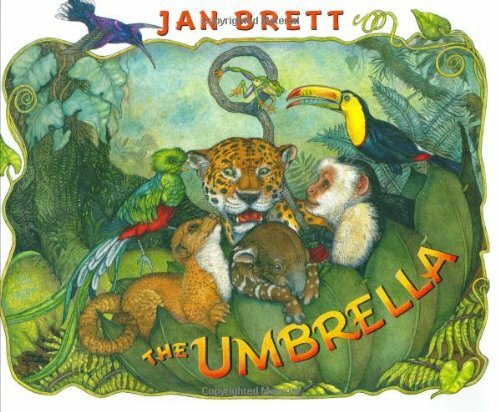 One of my favorite books on this subject is Jan Brett’s The Umbrella. 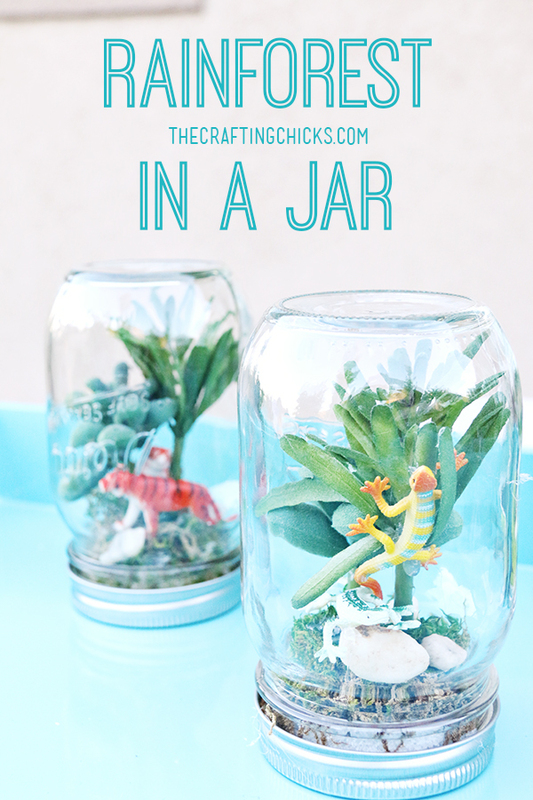 After reading this, I let me kids make mini Rainforest terrariums in a jar. 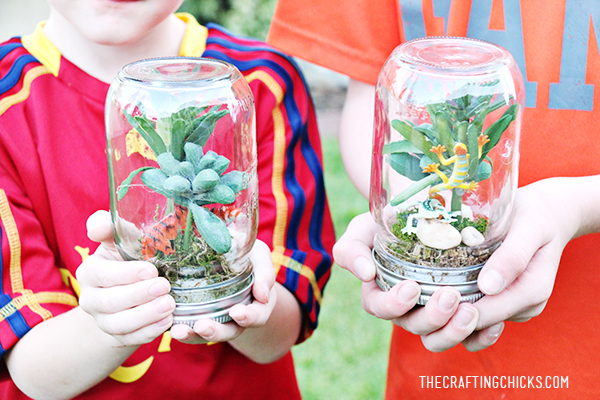 They were so easy and simple…and my kids think they are so cool! 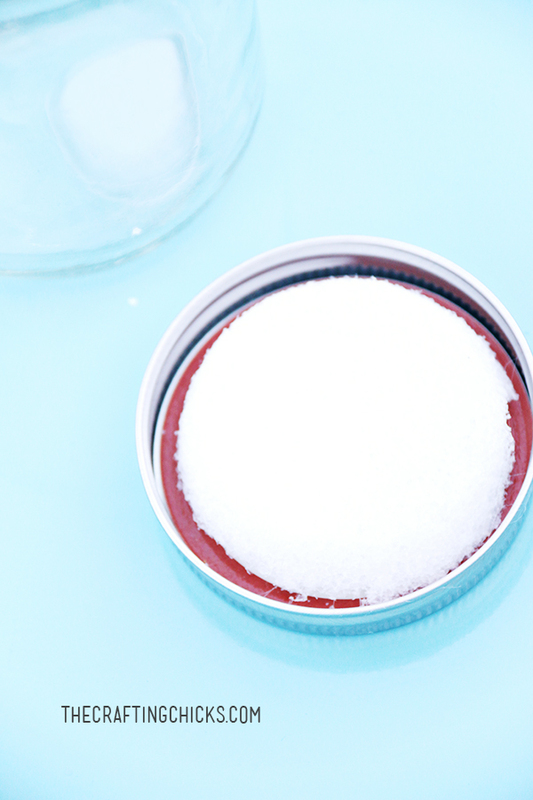 Start by gluing the can lid together. Glue inside a circle of styrofoam…about a 1/2 thick. I just bought the small styrofoam balls and cut them into strips. 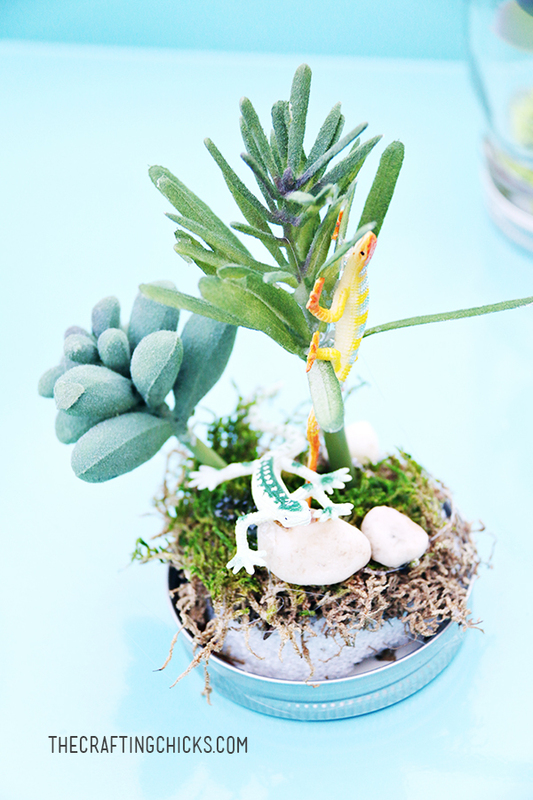 Let your little ones place their trees (succulents), moss, rocks and animals where they would like them. You will have to help younger children with the hot glue. 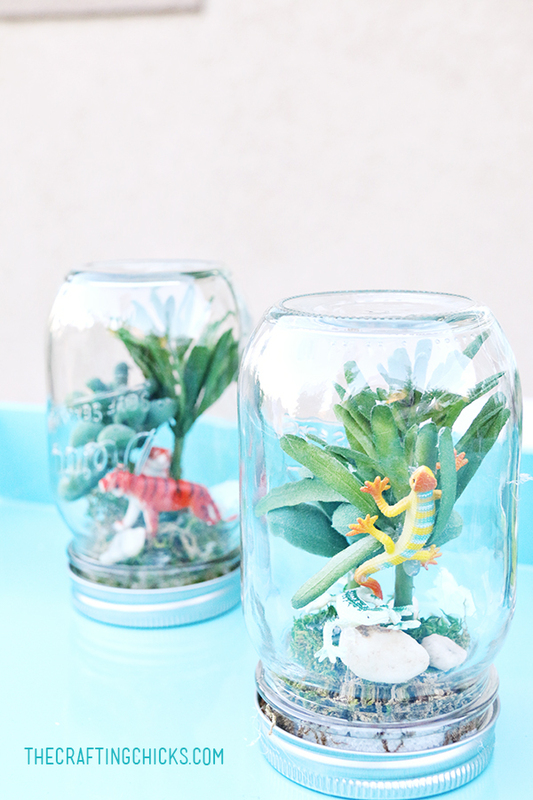 Then…easy peasy…just slowly place the animal scene inside the jar, and screw on the lid. 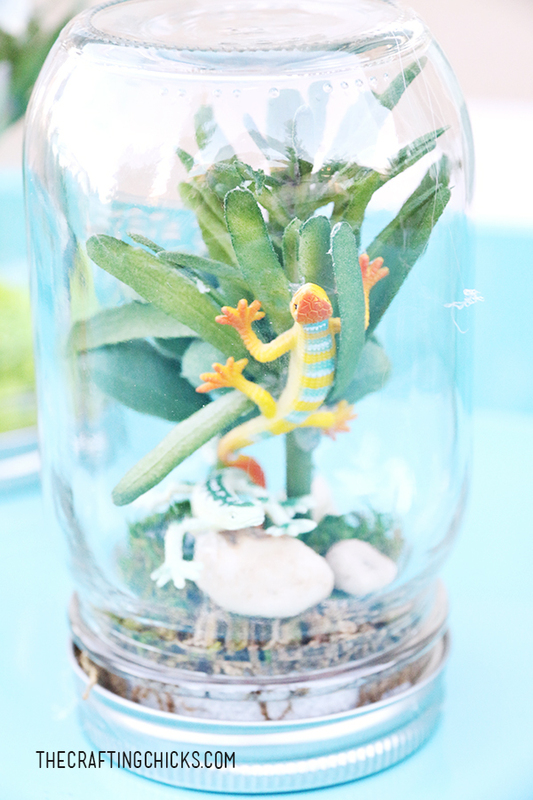 And you have a very cute Rainforest in a Jar! 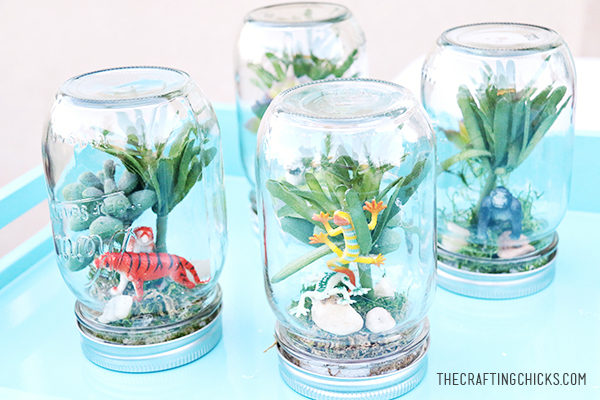 My kids love these and couldn’t wait to display them in their rooms! 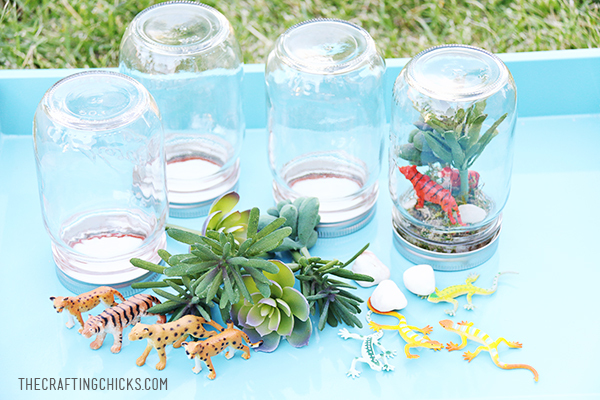 You can do this with other animals too! 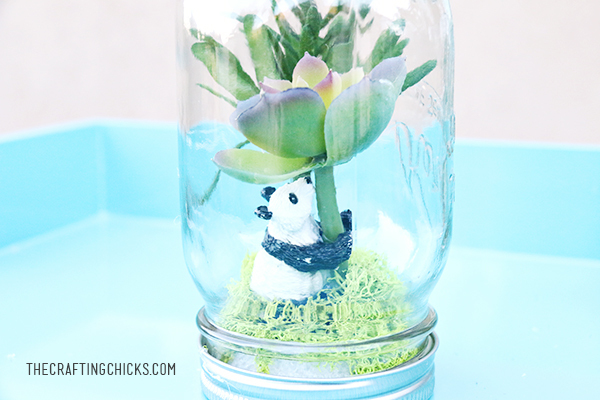 My daughter really wanted a Panda habitat in a jar…so that’s what we did! 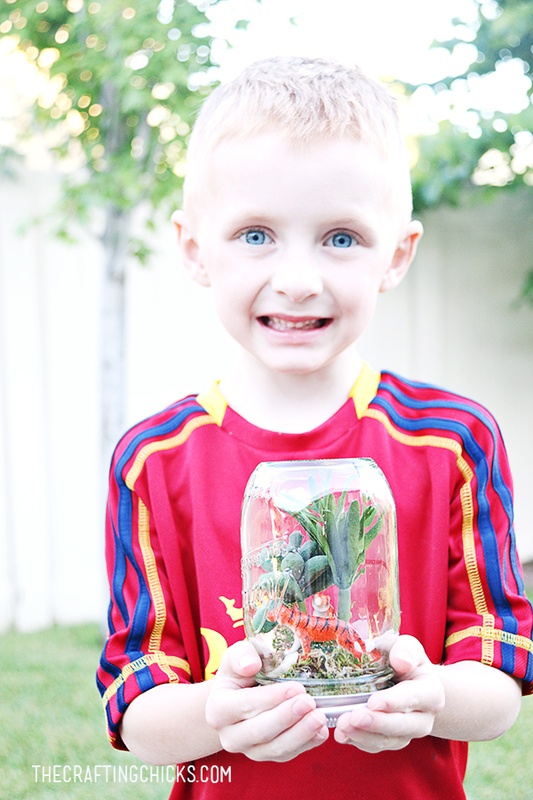 Be sure to check out the other projects in our Rainforest Week! Hi Misty- We got everything we needed on Amazon. 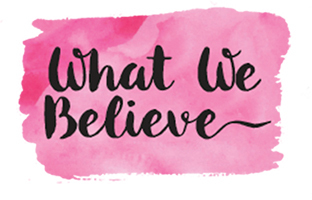 We’ve linked to the products that we used. You could run to Michaels or Hobby Lobby. I’m sure they have similar supplies.